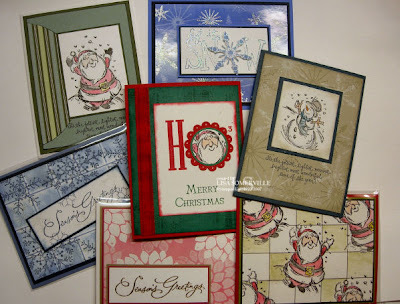 If you want to get a jump start on your holiday cards, then join me Wednesday, October 3, for my Holiday Card Class! Holiday Card Kits are available* - $18 includes shipping. Can't make this class - Holiday Card Kits are available. Please let me know which images you don't have, and I will prestamp them.